Swingy, comfy and never clingy, the Delancey Skirt comes in Japanese twill that’s the epitome of easy dressing (and packing) when paired with your favorite slim t-shirts or silk tops. Made in NYC. A-line silhouette. Waistband sits below natural waist (right below your belly button). Hemline falls to the knee. Our model is 5’9” and wearing a size 4. Below are the exact measurements of the Delancey Skirt. All measurements are in inches. For general brand fit, sizing, and body measurements, please visit our Brand Fit & Size Guide. A-line silhouette. Hemline falls to the knee. Waistband sits just below natural waist. 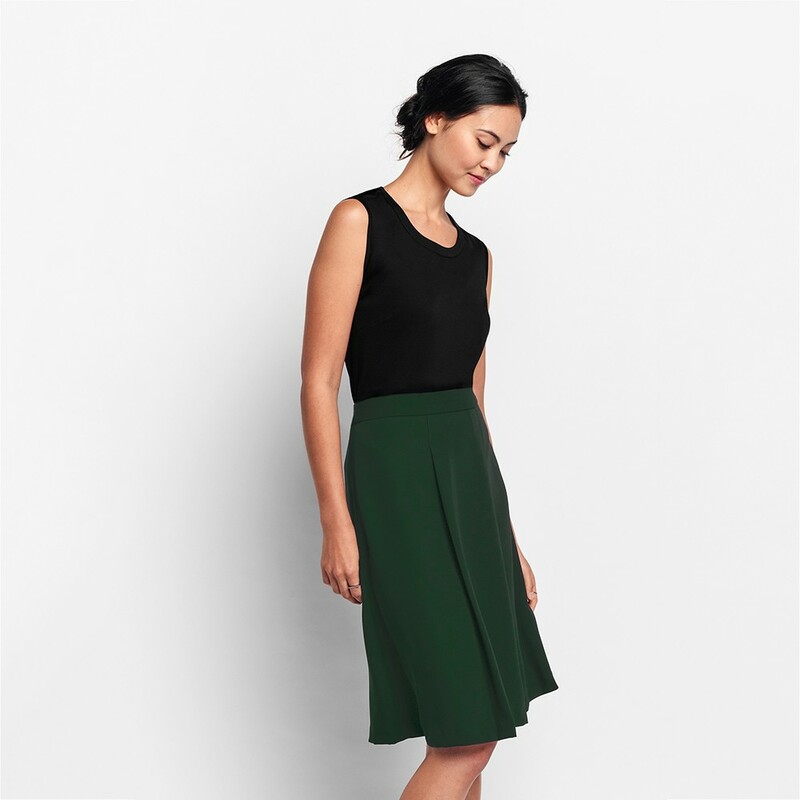 This silky Japanese twill is the ideal fabrication for the swingy Delancey Skirt. It skims the body without being clingy and moves with you for a fit that's both flattering and comfortable. Features: Hidden back zipper, pleated front.